Due to the patented WindSmart ™ technology, the device automatically recognizes not only the presence of wind, but also its strength and direction, and adjusts the microphone so that your voice remains clear and loud. Somewhat heavy (makes itself felt during prolonged wear). The VOYAGER 5200 is a real breakthrough in the market of portable Bluetooth headsets, because it utilises 4 microphones and unique adaptive digital noise cancellation technologies at once - ideal for communicating on the go or while driving in a car, as well as a wireless headset for PC. 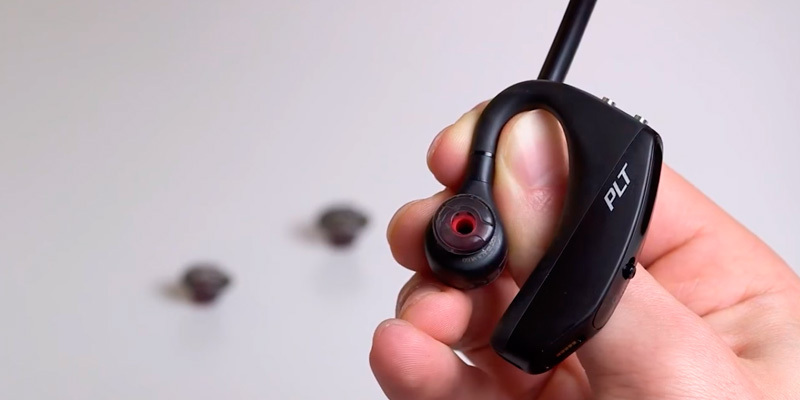 The unique P2i and IPx4 water-resist class nano-coating protects the headset from moisture: it prevents the device from malfunctioning due to dripping sweat and rain and minimises the risk of breakage due to accidentally spilled drinks. Uses a proprietary charging cable, which can be difficult to replace. This can be considered a smart headset, as it automatically takes calls when put on the ear and is controlled by voice commands. It is also equipped with a virtual personal assistant function (Siri, Google Now or Cortana) for easy operation. 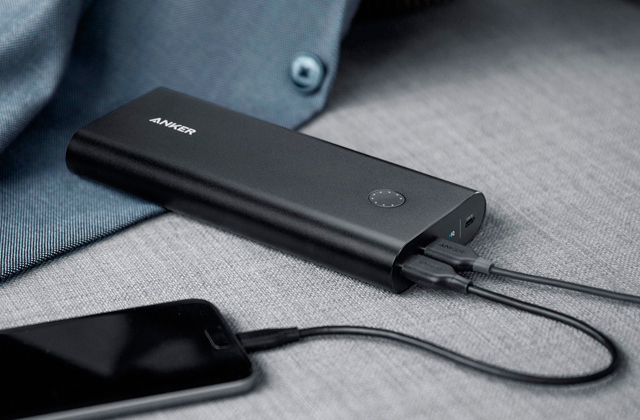 Included here is a magnetic USB-strap, which not only serves to quickly charge the built-in battery, but also allows you to fix the headset to a travel bag or backpack. Now the device will always be at hand and won't easily be lost. Some complain of poor hearing in windy weather. 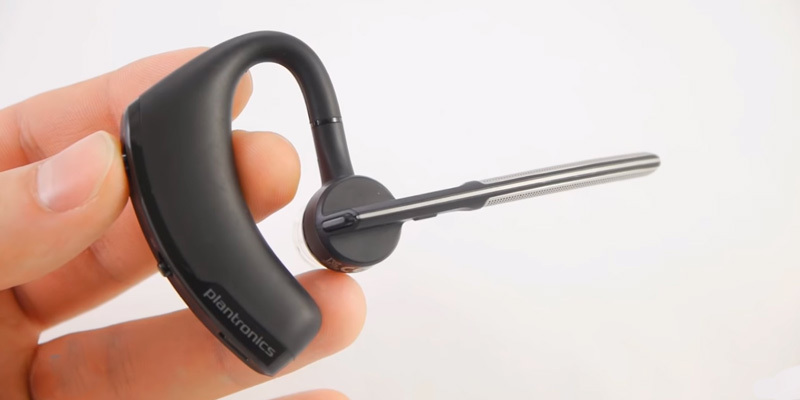 Despite the low cost, this Plantronics headset is not inferior in functionality to more expensive models: it is conveniently fixed in the ear or on top of the ear (based on your preferences), and also provides a reliable Bluetooth connection and excellent call quality. 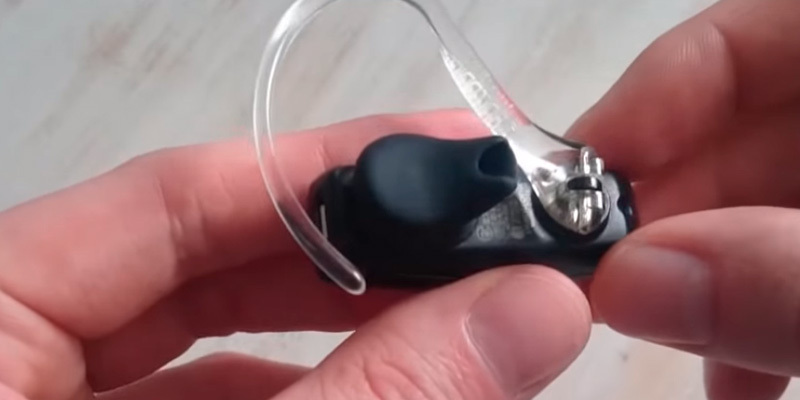 Although the ear loop is not fixed here, it still has a swiveling structure and can change its direction - this makes it possible to mount the headset to both the right and left ear without any problems. Included is a large-sized rubberized eartip (may need to be replaced). The design of this model makes it ideal for active people who have to wear a headset all day and often answer calls. 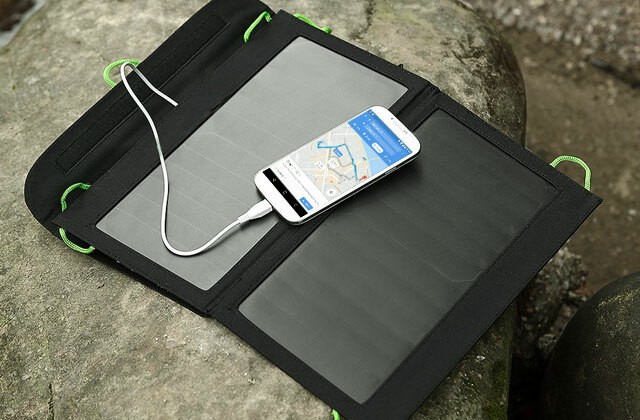 And it can easily work the whole day from a single charge, so as not to let you down at the most crucial moment. 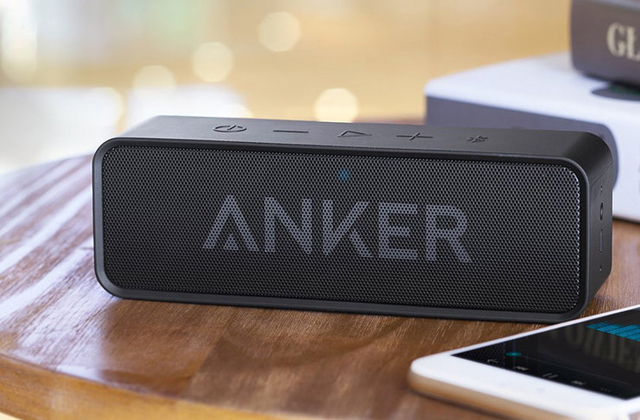 The built-in lithium ion polymer battery has a high capacity, allowing it to last up to 11 hours of talk time and up to 16 days in standby mode. 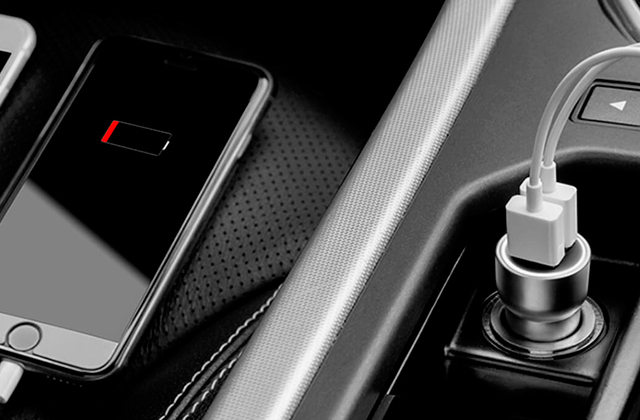 DeepSleep Mode ™ allows you to save battery power for 180 days in standby. This budget model is incredibly simple and practical, so anyone who wishes can easily master its capabilities. Moreover, it is so light and has comfortable eartips that after several days of active use, you no longer want to bring the phone to your ear to answer the call. The introduction of a mobile phone into the everyday lives of virtually the entire human population led to a variety of changes to the average person's lifestyle and a shift in expectations regarding the said person's ability to stay in touch at all times. Of course, nobody has been affected by this sudden shift in societal landscape more than citizens of large metropolises involved in the world of business or advanced services one way or the other. Now more than ever they are required to constantly keep their finger on the pulse given the kind of means a mobile phone, and later a smartphone with an internet connection, provides in that regard. Obviously, while a handy device, a modern smartphone has its drawbacks like any other piece of technology. Given the size and the amount of time some individuals have to spend on their phone talking to people, constantly having to hold the device next to your ear can prove to be strenuous both for the hand and for the ear. This is where producers and distributors of accessories decided to step in to provide some ever so required assistance introducing the world to a Bluetooth headset, a perfect solution to the aforementioned problem. If you seek to find some additional comfort to your everyday life, the Plantronics Voyager 5200 UC should serve as a great starting point. The Plantronics Voyager 5200 UC Bluetooth Headset is an over-the-ear type of model meaning that it only occupies one of your ears leaving the other one free to multitask by listening to other sources of sound. With a 2.2-inch behind-the-ear unit and a 2.8-inch boom microphone, this device should be comfortable to wear regardless of your preferences. There's an on and off switch located on the back of the device and a couple of accessible volume buttons on top of it. Without a doubt, one of the most important features a Bluetooth headset should possess would be top-notch noise-canceling technology. These devices are used outside more often than not and that means your call's recipient is going to have to deal with a cacophony of unpleasant sound coming out of your speaker if your headset is not up to par in that regard. Fortunately, the Plantronics Voyager 5200 UC features the exclusive Windsmart technology, pairing a group of four microphones together in order to remove distracting noises and wind from the equation. With this and the other features built into this phone, even the most jaded Bluetooth headset user will certainly fall in love with its combination of features and comfort. 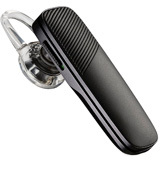 The Plantronics Voyager Legend is a mono Bluetooth headset which connects to gadgets via Bluetooth version 3.0 . Mono headsets are perfect for phone calls, particularly for people who are driving since you can hear all other sounds with your other ear. That's why mono Bluetooth headsets allow you to stay connected and, at the same time, be totally safe. 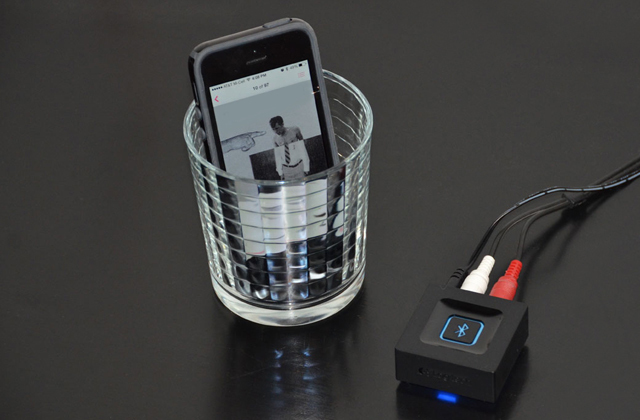 You can also listen to music, but it's less convenient than using a stereo Bluetooth headset. As it should go without saying, a high-tech Bluetooth headset also has to provide good battery life, and the Plantronics Voyager Legend puts in quite a good showing here. 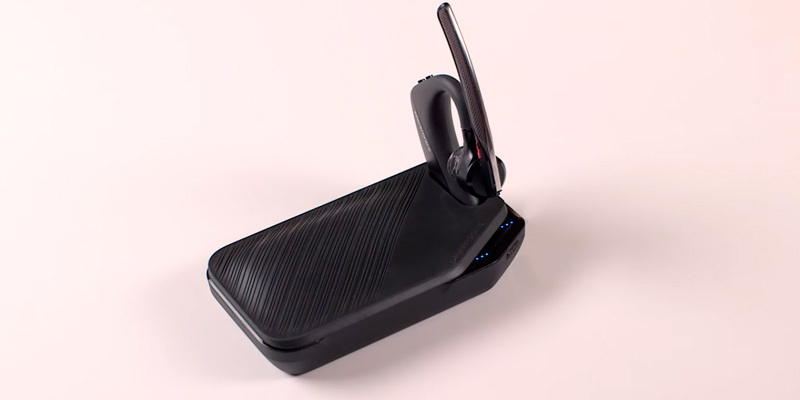 This gadget ensures up to 7 hours of phone talk time and 11 days in standby mode. 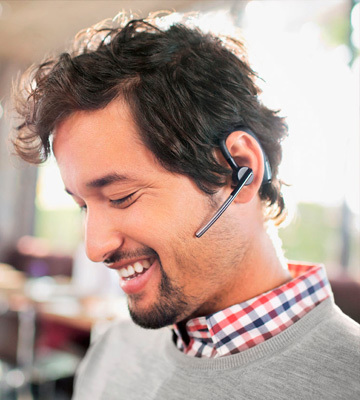 The first thing you will notice when you wear Plantronics Voyager Legend is its small weight - just 0.3 oz. Most of the competitors are slightly heavier, but the small difference really matters if you are wearing the gadget all day long. 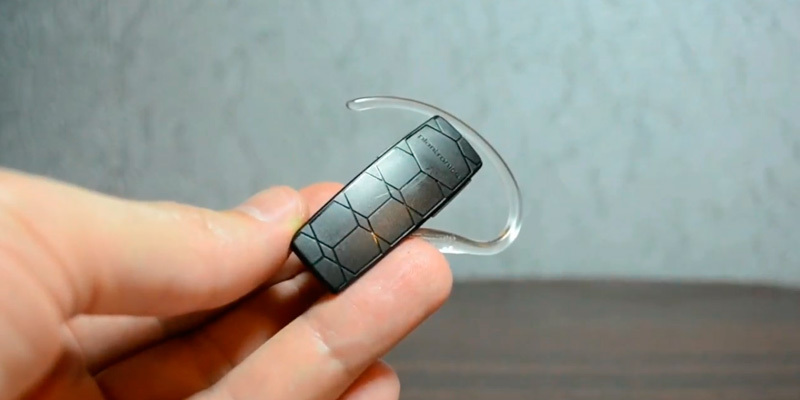 Thus, this Bluetooth headset is really convenient and you will be able to wear it without any fatigue. The shape of the headset was designed to cause no discomfort or chafe the skin of your ears. You can control the volume with the help of a special lever. Charging is simple too - you just need to plug the proprietary charging cable. But don't lose it! Otherwise, you will need to buy a new one. Users who choose this Bluetooth headset will be really glad to enjoy all the versatility it provides. This is a truly intelligent and configurable gadget that you can easily configure via a special app (available on Android and iOS). Moreover, if you can't find the headset, it will start making sounds as soon as you launch the FIND MY HEADSET app. If you lose your Voyager Legend, you will be able to track the last place where it was used on the map thanks to the BackTrack feature. If you use a smartphone on Android 3.0 (and newer versions), the app will indicate the battery life, so that you can control it and recharge on time. The software detects when you're wearing a headset and if you aren't - the gadget won't make a sound when an incoming call comes (of course, there will be a sound alert on your smartphone). Voice control is awesome: you can say 'Answer' to answer the call or 'Ignore' to ignore it. 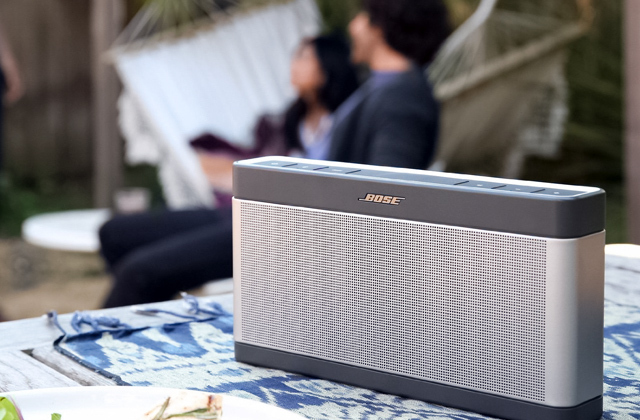 Making calls will also be easy thanks to voice control. P2i nano-coating protects the headset from moisture and the whole gadget is water-resistant. Finally, Windsmart technology reduces the noise of the blowing wind and makes your conversations a lot easier. 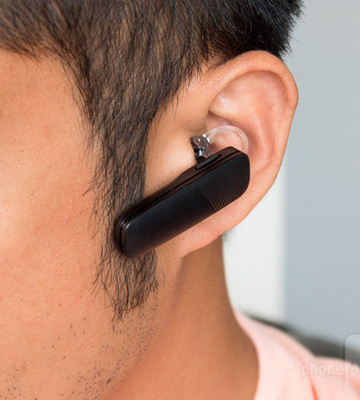 And if you use several phones, you can connect this Bluetooth headset simultaneously to several of them. Therefore, Voyage Legend will be perfect for active people, entrepreneurs, and businessmen. Smartphones have found their way into most people's lives by now, but what is surprising is that many people actually have two smartphones. With the different mobile phone carriers available, some people find that they need numbers for all of them, so having two phones has become common for a subset of people. Of course, for those who like using a Bluetooth headset, this can sometimes cause a problem with having to constantly unpair and repair a headset and phone together, something that is very inconvenient to do, especially while on the go. The Plantronics Explorer 500 is a great device that solves this problem by automatically providing support for two mobile phones. Instead of being able to only pair with one phone at a time, this phone includes the setting to pair with both, letting you easily answer calls from either phone without needing to constantly reconfigure the device. 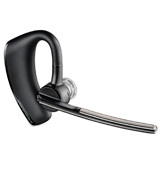 This provides a level of convenience that is simply unprecedented for those who have more than one mobile phone and need to answer calls on either phone without changing or reconfiguring the Bluetooth headset, something that is especially important for those who use their phones for business purposes. Just the ability to simultaneously pair with two phones is enough for many people to want to spring for this model, but there is actually a lot more going for it. The headset comes with a dual-purpose USB strap, providing an easy to use USB charging connector as well as a strap that can be looped around a bag handle or keychain, helping to ensure that you don't lose it. The headset also features extreme call clarity with it's certified HD voice clarity, ensuring that all conversation are crystal clear and without interference. 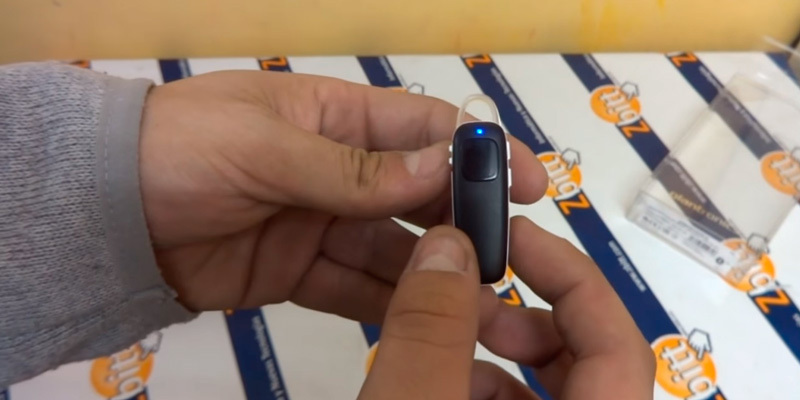 Many other features are included in this Bluetooth headset. 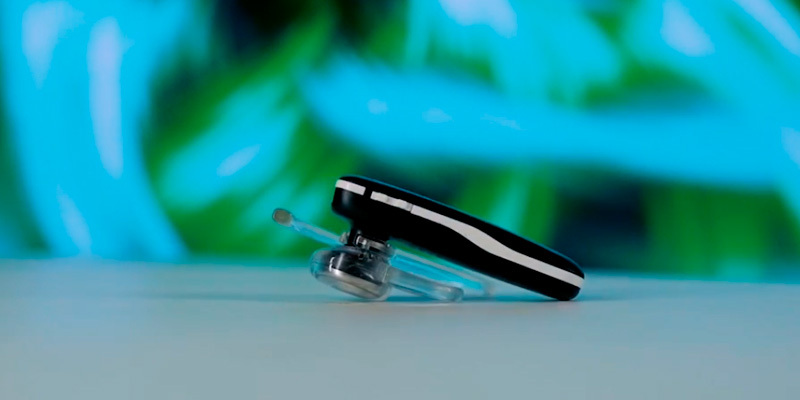 The phone includes an earpiece that can fit comfortably on either ear, so you don't have to worry about it only fitting right on one hear. It is also quite light and comfortable to wear, even for extended periods of time, and you can easily forget that you are wearing it. The headset also includes full hands-free operation, and can work along with AI assistants, including Siri, Cortana, and Google, so you can control the headset and calls with voice commands, or even have other information given to you without having to look at your phone. The battery life is also excellent, and there is an on-screen battery life indicator that you can check to see when you need to recharge the headset. For anyone who has more than one smartphone, this Plantronics Bluetooth headset is a real game-changer. The single biggest convenience provided by a Bluetooth headset is the fact that you can use it to talk on the phone without having to hold your phone up to your ear, keeping your hands free for doing other tasks. While this is quite convenient for many people, having to operate the headset is another story altogether. Unfortunately, many Bluetooth headsets aren't fully "hands-free", as you often still need to use your hands to answer the call, find a number to dial, and so forth. This can be a distraction while you are doing other tasks, and often it isn't convenient at all. 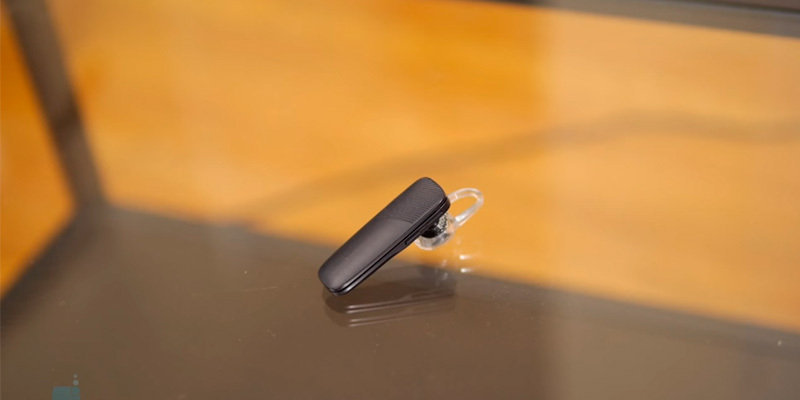 The Plantronics Explorer 55 Bluetooth Headset is a device that can give you a true hands-free experience, letting you operate any phone call from start to finish without having to take your hands away from whatever they are doing. 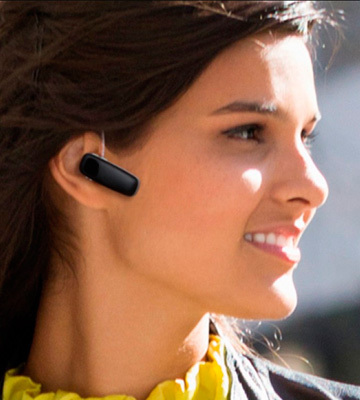 This Bluetooth headset gives you plenty of options for not needing to pull the phone out of your pocket or purse, allowing you to listen to music, find GPS directions, search for contacts, and more all without using your hands. This adds a high level of convenience thanks to its integrated support for AI personal assistants such as Siri, Google, and Cortana, letting you use voice to control everything. This very affordable Bluetooth headset provides convenience in spades, giving you options that many more expensive Bluetooth headsets simply can't match. The light weight of this headset is perfect for those who need to use it for long periods of time, as you can wear it comfortably without it weighing down your ear. In fact, it is designed to fit either ear, giving you a choice of which ear you want to use for it. 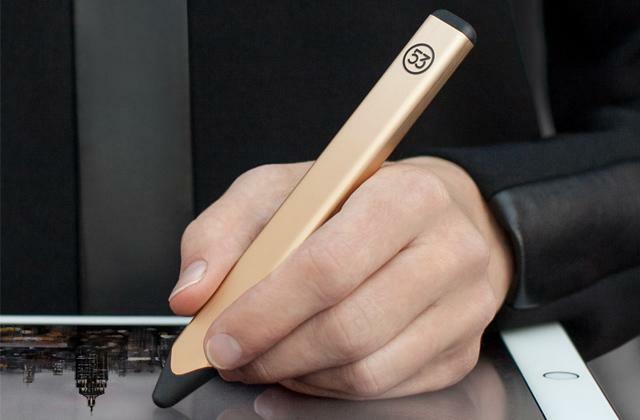 The device includes a button that you can use for answering calls or activating the personal AI assitant to look for contacts, find driving directions, send messages, or many other tasks without having to look at the phone. The hands-free operation isn't the only feature that this great little Bluetooth headset has. The headset allows pairing to more than one phone at a time, which is perfect for those who have two phones and don't have the time or desire to constantly reconfigure the headset for whichever phone they are using. The headset also has excellent battery life, giving you up to 11 hours of talk time on a single charge. 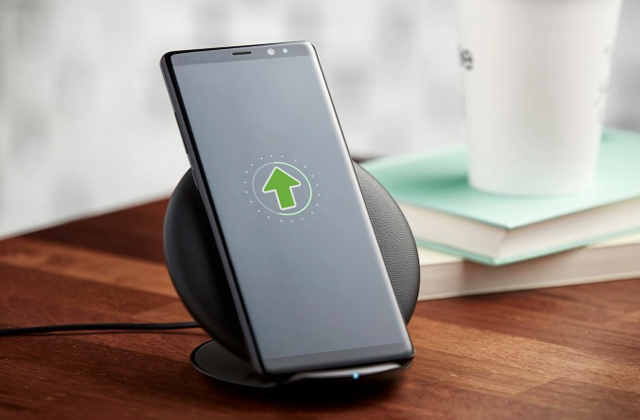 The Deep Sleep power savings mode also lets it use the bare minimum amount of power on standby mode, ensuring that the battery doesn't wear down when you're not using it. For its price, all of these features make this Bluetooth headset an absolute bargain. With all of the different types of Bluetooth headsets on the market, there are a number of budget devices that round out the low end of available models. Many of these budget devices are fine, but the majority of them will range in quality from decent to bad. Unfortunately, that leaves little choice for those who are looking for a high-quality Bluetooth headset on a budget, with just a small number of high-quality devices available in this category. 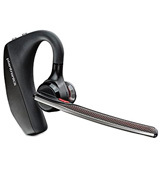 Despite the above, the Plantronics M70 Bluetooth Headset is one budget headset that delivers the high quality and feature set that Plantronics is known for, as well as being one of the best Bluetooth headsets available. This small, lightweight headset provides great call quality and versatility that is often only found on much more expensive devices. The design of the headset is such that it is always comfortable to wear, providing both an ear tip and ear clip, giving the user the choice of how to wear it. The headset can also be setup to provide voice notifications, giving you a selection of English, Spanish, or French for the notifications, meaning that you can check the status of the headset without having to divert your eyes from whatever you are doing. Along with the great design and hands-free notifications that it provides, this Bluetooth headset provides a set of features that are found only on more expensive models. The battery life of this headset is virtually unmatched, providing up to 11 hours of talk time on a single charge. The included DeepSleep hibernation mode automatically puts the headset into a deep power savings standby mode that can actually let the device remain charged up for up to six months without use. 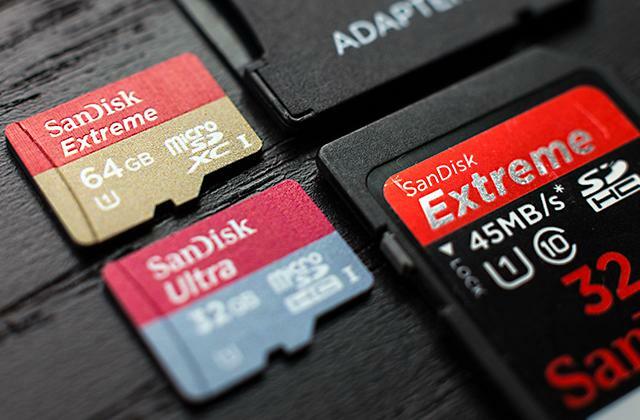 Having to worry about charging it on a daily basis is simply not a problem, as even heavy phone users can expect the device to last for several days on a single charge. 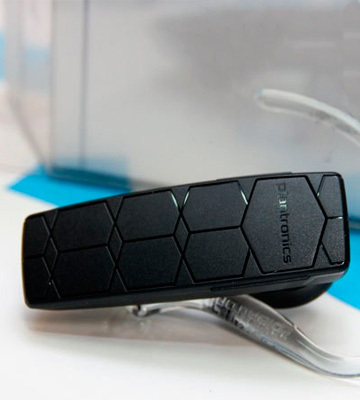 Other features included in the device are those commonly found in other Plantronics headsets, including noise reduction technology along with HD audio clarity, giving the best possible voice quality even under extreme conditions, preventing windy weather from interfering with your calls. The headset includes buttons that allow you to control music and streaming audio from the headset instead of having to do it from the phone. All of these features combined with the high audio quality and low price make this one of the best Bluetooth headsets ever made in its price range. 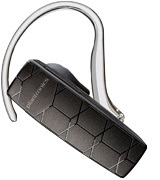 What Is a Plantronics Bluetooth Headset? Bluetooth headsets, devices which are used to allow a user to speak on the phone without having to physically hold it, are nothing new. In fact, they have been around for quite a number of years now, and have gone through periods of popularity. Nowadays, it's not quite as often that you will see someone using one like what was common a number of years ago, but they are still quite prevalent. Many people enjoy being able to talk on the phone without having to hold the phone to their ear, enabling them to work on several different tasks at once. 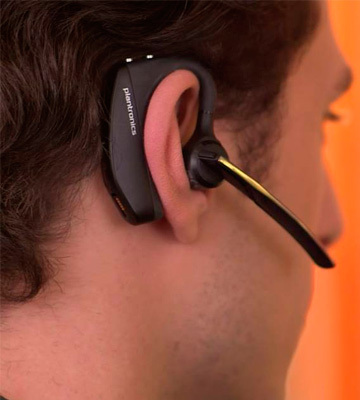 Bluetooth headsets excel at this functionality due to their wireless design, preventing the headset and phone from being physically tied together. Plantronics has a long history of making high-quality headsets geared specifically for office use, and have created a number of technologies along the way that have aided in both call clarity and convenience. With their line of Bluetooth headsets, they have been able to leverage their many years of experience in headset technology to create some of the best Bluetooth headsets available, allowing their users to maximize both their call quality and their other tasks. If you are looking for Bluetooth adapters that will allow you to use your new Plantronics Bluetooth headset with your desktop computer, then read our reviews of five of the best Bluetooth adapters available. Bluetooth headsets can be found just about anywhere, and come in many different shapes and sizes. They tend to range from small devices that can be stuck in an ear and remain unnoticeable to large headsets that rest on the head and cover both ears. With the wide range of different devices available, there is also a wide range of functionality, so it is best to be familiar with the different aspects of the Plantronics Bluetooth headsets before purchasing one. One of the most important aspects of a Bluetooth headset is the total battery life, which shows the total amount of talk time that it supports on a full charge. As Bluetooth headsets are almost never used while attached to the charger, it is best to be familiar with how long it should work before needing to be recharged. Many of the Plantronics Bluetooth headsets featured here have a long battery life, but being aware of what it is for the specific model you wish to purchase can ensure that you are getting one that fits your needs. Another important aspect is the Bluetooth specification that is supported. Bluetooth specifications range in version numbers, so it is important to make sure that your Plantronics Bluetooth headset supports the version of Bluetooth used by your phone. Having said that, Bluetooth specifications are generally backwards compatible, so this shouldn't be an issue just as long as both devices use Bluetooth versions that are compatible with each other. 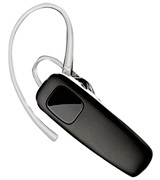 The size and weight of the Plantronics Bluetooth headset are equally important characteristics. While some people want a headset that is small and light enough to the point where they forget they are wearing it, others may want something more substantial. Checking the size and weight of the headset before you purchase it is something you don't want to forget. 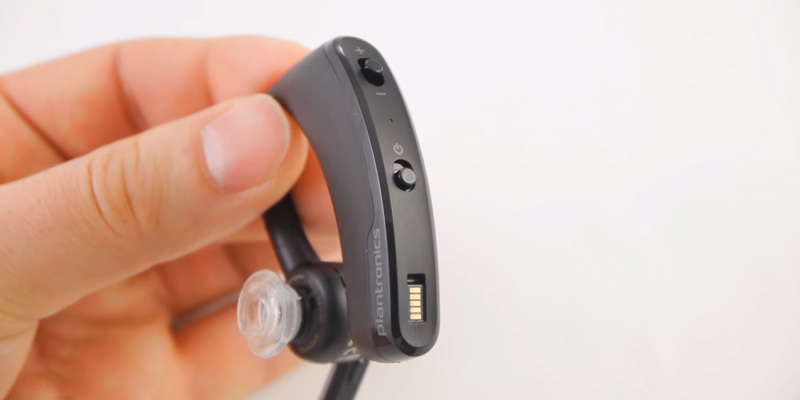 One overlooked aspect of a Bluetooth headset is the type of ear piece that it uses. 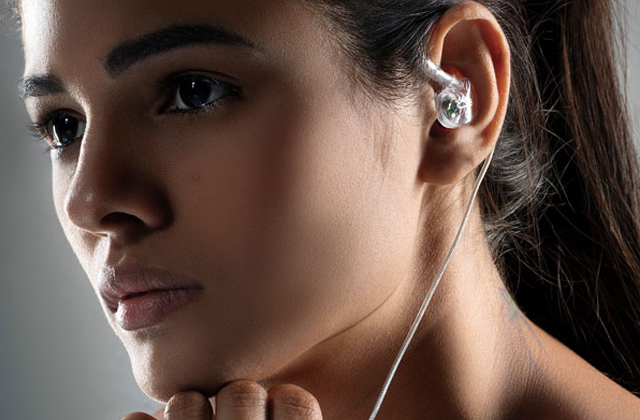 Bluetooth headsets tend to use one of two types: an in-ear piece, or an over-ear piece. Some people have a preference for one or the other, while others may not care. Some models may even include multiple earpieces of difference sizes, and at least one listed in this review has both provided. However, if this is something that you care about, then it is best to check to make sure that the headset you want has the type of earpiece that you prefer. The extra characteristics and features of a Bluetooth headset will often show just how great the call quality provided by the headset is. This is because many of the extra features, such as noise-cancelling microphones, often affect the quality of both your voice and that of the person on the other end of the call. Some other extra features include multiple microphones, hands-free operation, and virtual personal assistance inter-operability, which all can add up to showing how functional the headset is beyond the simple use of taking calls with it. Being aware of what features are included with the headset will ensure that you are getting the best possible device. Bluetooth technology has been around for quite a while now, and there are a huge number of devices that utilize Bluetooth technology. It was originally created in 1989 as a way to provide wireless headsets for mobile phones, but Bluetooth quickly found itself most useful once smartphones became widespread. The rise of smartphones and other mobile devices has only helped to spread Bluetooth to become the ubiquitous technology that it is today. Despite its primary purpose as a method of providing wireless communication between a headset and a mobile phone, Bluetooth has found itself used for a wide range of purposes that it was never intended for, including wireless file transfers, wireless computer and game system peripherals, and many other uses. Bluetooth is now supported in almost all smartphones, tablets, and many laptop and desktop computers, and has found even more traction with Internet of Things devices. In order for two Bluetooth devices to communicate with each other, they have to be paired together. Doing this is not the most intuitive thing, but it is a necessity in order for the devices to communicate together. 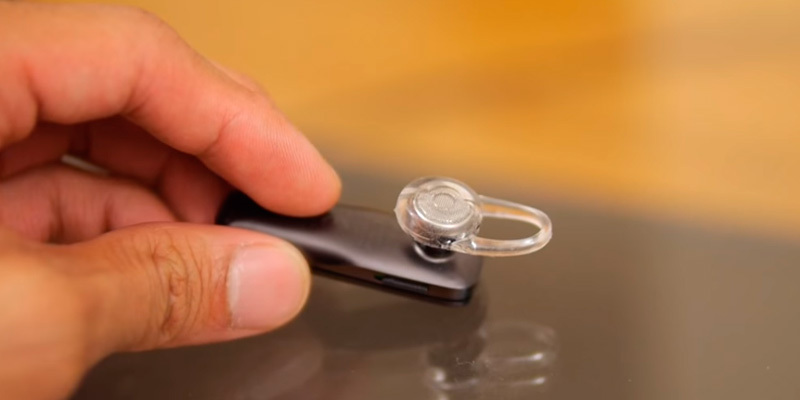 However, once you have initially paired a Bluetooth headset to your phone, it becomes much easier for them to automatically connect again at a later time. In order to pair your new Plantronics headset with your phone, follow these steps so that the devices pair properly. First, make sure your Bluetooth headset is powered off. With the headset off, hold the call control button for about 5 seconds, until you receive some sort of notification from the device, whether it be a flashing light or sounds. Which kind of notification you will receive will depend on the model of your Bluetooth headset. Once you have received the notification from your headset, let go of the button. On your phone, you will first want to make sure that Bluetooth is enabled. Many phones will be Bluetooth disabled by default in order to save battery life, so make sure you check this first. With Bluetooth enabled, follow the instructions for your phone in order to pair it through Bluetooth. The method for doing this will be different for Android and iOS devices, so make sure you follow the instructions for your particular phone. Once you have followed the instructions for pairing the devices, you may be prompted for a passcode on your phone. If so, then enter the passcode as 0000 (four zeros). If you aren't prompted for a passcode, then don't worry, as many phones do not require it. Once the passcode has been entered, or if you weren't prompted to enter one, your phone should show your Bluetooth headset as connected, which means you are now ready to use it for phone calls. 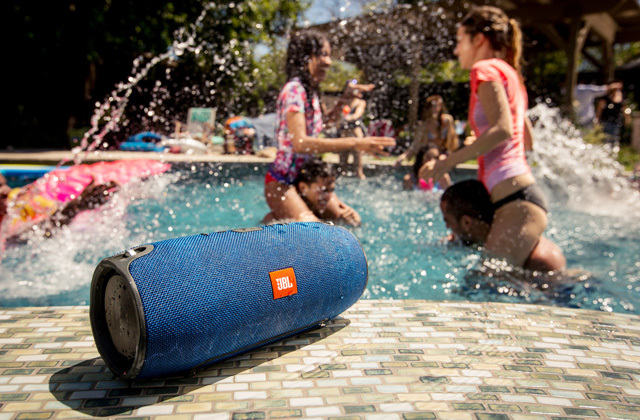 With any Bluetooth device, it is always best to follow some helpful advice to help you get the most out of your experience. The most important thing to remember is that Bluetooth connectivity can be a drain on your phone's battery. Whenever you are not using Bluetooth on your mobile device, it is best to turn Bluetooth off in order to help save battery life, as well as to prevent other unwanted devices from pairing with your phone. With many Plantronics headsets, it isn't necessary to do the same things, as they have power saving features that help save the battery life when not in use. However, it is still a good habit to get into whenever you need to maximize the battery life of both your phone and headset. Keeping this in mind will give you plenty of time to use the best Plantronics Bluetooth headset that you just bought.